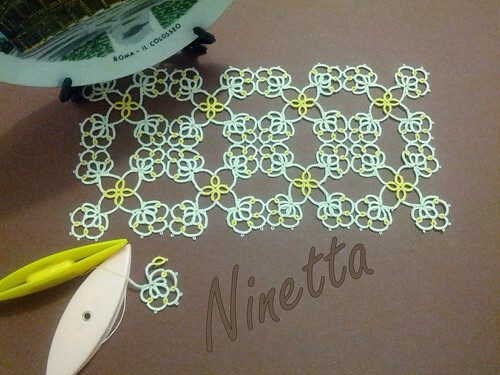 That square has been tatted with dmc size 80, in ecrù and yellow, pattern is original. I like that 4 motifs together form a new motif, it seems that this time I could even have the edging included! I've numbered that as to be the 20th. That's strange, but I'm pretty sure that if I wrote quad20 on my notebook, a previous quad19 must be somewhere. The valentine's square is the 17th, the square I've used in the Easter bunny is the 18th, then I'm pretty sure that I've tatted the 19th, with clunies too!! I think it happened last week. 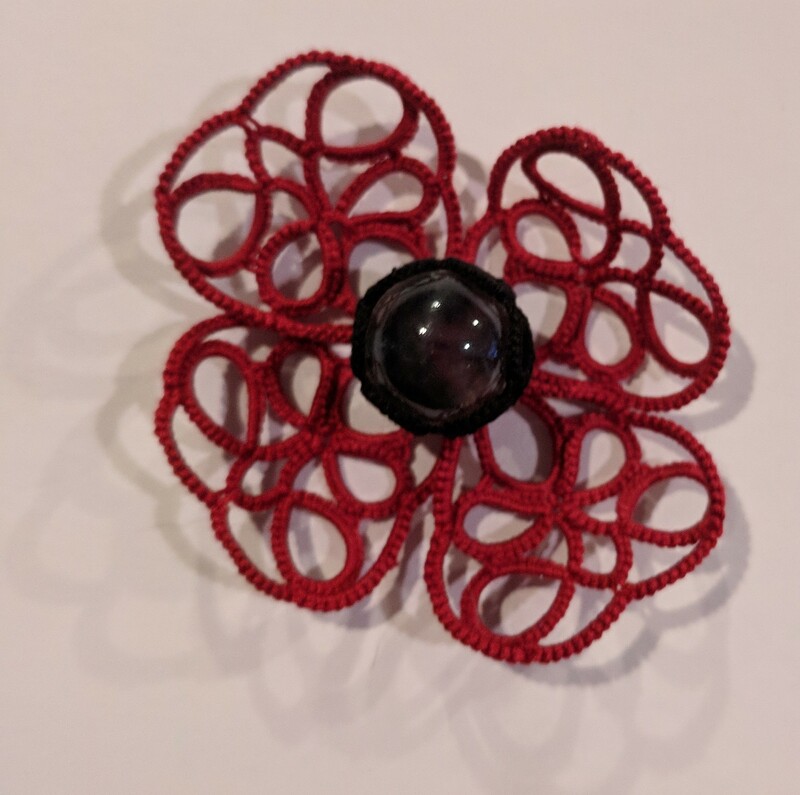 I can remember that I was doing a square but it seemed to cup, so I turned it into a butterfly, and all I know is that my tatting and notes disappeared. Did it fly away? Oh, I forgot to mention that I've finished one hanky! 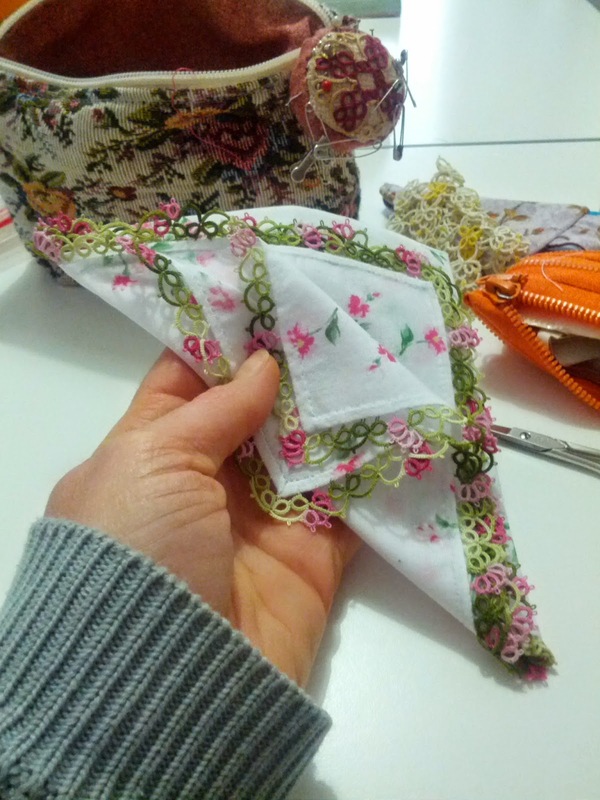 your square is beautiful and I can only imagine what the edging will look like :) the hankie is very nice too and will patiently wait to see this cluny butterfly, You know I love clunies! I hope you remember 19! Love the hanky, and the square motif. thank you very much, you're very nice! Love the colors. The pattern gives a beautiful design effect.